An international seminary of the size and diversity of Fuller uses its key identifier “evangelical” with a wide range of meanings and varied connotations. At the beginning of the Reformations of the sixteenth century, Martin Luther and his followers commonly called themselves “evangelicals.” They used the name “evangelicals” to express the claim that they based their teaching on the gospel (Latin, evangelium, from the greek euangelion, “good news”). Today many Lutheran churches retain “evangelical” in their names, but may not identify themselves with the contemporary movement of Protestant evangelicalism. Rather than trying to repeat or update Hubbard’s explanations of the doctrines of modern evangelicalism, this brief essay discusses five basic watchwords to describe more broadly Fuller’s understanding of evangelical Christianity: (1) historic Christianity, (2) neo-evangelical Christianity, (3) global Christianity, (4) ecumenical Christianity, and (5) the movement of the reign (kingdom) of God. The first watchword, “historic Christianity,” emphasizes the connectedness of evangelical Christianity to the history of Christianity. Evangelical faith is certainly founded upon the Bible, whose proper interpretation is the final authority—the norm or rule that makes all the other rules. Yet all Scripture needs to be interpreted. Understanding the long history of Christian interpretation of Holy Scripture (and Jewish interpretation of the Hebrew Bible), combined with the development of Christian doctrine and thought, is essential for proper interpretation of Scripture. Evangelicals who maintain a dualistic “fall of the church” view of Christianity commonly see little value in critically retrieving the history of early and medieval Christianity, especially from the time of Constantine (fourth century) until the Protestant Reformations of the sixteenth century.6 Yet, ironically, it is precisely in the centuries of late antiquity following Constantine that the Christian doctrines of God (the Trinity) and Christ (two-nature Christology) reached the forms that most Christians profess today. So, understanding the historical development of these key doctrines that shape the ways Christians read Scripture is vital for Fuller’s biblically based Christian identity. This understanding can only be achieved through careful study of the history of Christian thought. Christian Smith analyzes the neo-evangelicalism of the 1940s to the early 1960s as “a restructuring in the field of American [Protestant] religious identity.”9 According to Smith’s “subcultural identity theory,”10 a new category of evangelical Protestant Christian identity was formed, which was neither the fundamentalism nor the liberalism (modernism) of the decades following the famous Scopes (“Monkey”) Trial of 1925.11 It was a new space where Protestants who were neither liberal nor fundamentalist could gather and flourish. Fuller Seminary gradually became a parade example of this new evangelical identity. One of neo-evangelical Christianity’s distinguishing characteristics is what Smith labels “engaged orthodoxy.”12 In other words, the new evangelicals, while adhering to the Protestant orthodoxy of historic Christianity, simultaneously were actively engaged in the intellectual and social issues of modern Western society. Instead of separating themselves from the larger Christian community and the political and cultural issues of the day, as twentieth-century fundamentalists advocated, the new evangelicals brought their Christian faith into the life of the academy and the public “marketplace” of changing North American culture. 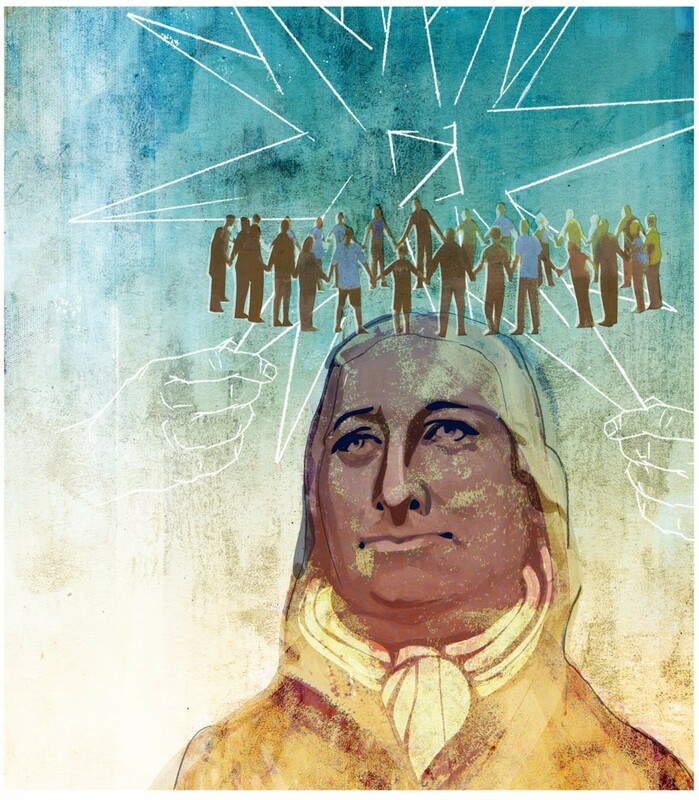 + from Nikolaus Ludwig von Zinzendorf und Pottendorf (1700–1760) in Christian Life and Witness: Count Zinzendorf’s 1738 Berlin Speeches. Zinzendorf was a reformer of the Moravian church, an acclaimed hymnwriter, and ultimately was named an Anglican saint. One brief look at the pictures of the twenty white, all-male16 members of Fuller’s first graduating class of 1950 and those of the nearly 500 male and female graduates who participated in the 2014 Commencement (not including regional campus students and many distance education students) reveals a dramatic difference. The 2014 graduates include many international students17 and numerous racial and ethnic minority students.18 It is obvious that Fuller has become a multiethnic, international seminary, with a mission to global Christianity, especially in the Pacific Rim nations. The development of mass evangelism in the late nineteenth and early twentieth centuries went hand-in-hand with the expansion of evangelicalism. From D. L. Moody to Charles Fuller to Billy Graham, the media—newspapers, radio, then television, and now online communications—enhanced the visibility and developed the constituency of evangelical movements.19 The media-centered approach to proclaiming the gospel message relied upon technological advances, which accompanied the rise of the United States into a dominant world power. When this technology united with the widespread global missions movements of the period, evangelicalism began to move onto the world stage as a major, competing Christian tradition. The rise of Pentecostal missions, particularly stemming from the Azusa Street Revival, has significantly influenced and continues to shape both the character of global Christianity and the boundaries of the evangelical movement. American evangelicals are self-identified Protestants, this is certainly not true of all evangelicals, especially in the Two-Thirds World. Significant racial and ethnic diversity increasingly characterizes global evangelicalism, with dramatic increases in the twentieth century continuing into the twenty-first. The emergence of “the next Christendom”20 in Africa, Latin America, and Asia indicates that evangelicalism, inclusive of Pentecostal and charismatic Christians, may emerge as one of the two or three largest Christian traditions in the world. Global evangelicalism is now a major player in shaping the world’s religious climate. The historic Anglo-American evangelical alliance that served as the foundation of the early evangelical movement now plays a diminishing role in today’s global evangelical movement. Evangelicals have now grown up internationally beyond their English and North American origins, and Fuller as a leader in evangelical theological education is committed to its mission of serving global Christianity. Being an evangelical is being part of a historical movement. In contrast to other major Christian traditions of the world, such as Roman Catholicism and Orthodoxy, with a defined hierarchical structure and “official theology,” evangelicalism has no official theology or central multidenominational hierarchy. The institutions of evangelicalism—churches, denominations, parachurch mission groups, publishing houses, schools, and institutions of higher education, etc.—constitute an informal network or subculture, rather than a logically ordered system. Beyond their own ministries, evangelicals have played significant roles in the development of ecumenical Christian social action projects such as Bread for the World and Habitat for Humanity. Although evangelical Christians frequently move from one institutional expression of evangelicalism to another—e.g., “I was a Baptist but now am a Pentecostal,” or “I grew up in a nondenominational Bible church, but now am a Presbyterian”—there is a sense of remaining in the same general Christian tradition. Many evangelicals do not consider their movement merely as a vehicle for building churches, but as a way of following the direction of the reign or kingdom of God. This fits with the earlier postmillennial theology of eighteenth- and nineteenth-century evangelicals, who believed the church was to participate in building the kingdom of God here on earth.23 This belief is now often obscured by the rise of premillennial dispensationalism during the twentieth-century experience of world wars and other large-scale economic and social dislocations. Following the movement of the reign of God moves the church beyond its walls to encounter the working of God through the Holy Spirit for peace and justice in the world. Since the nineteenth century, the history of social activism in evangelical Protestantism has primarily developed through the formation of parachurch or, more recently, megachurch organizations that embrace social change. Examples of a few of the parachurch organizations focusing on social action include World Vision, Evangelicals for Social Action, and Sojourners/Call for Renewal. A highly visible example of a megachurch involved in social action is Saddleback Church’s Western Rwanda Healthcare Initiative, led by Rick and Kay Warren. The word evangelical identifies Fuller Theological Seminary as a gospel community, in continuity with historic Christianity and with Fuller’s roots in neo-evangelical Christianity. The seminary trains women and men for leadership across the globe, sharing with other ecumenical Christian communities who follow Christ through the leadership of the Holy Spirit. May God, the Father, Son, and Holy Spirit, guide Fuller Seminary to discern wisely and pursue faithfully the movement of the Reign of God wherever it leads. 1. D. W. Bebbington, Evangelicalism in Modern Britain: A History from the 1730s to the 1980s (London: Unwin Hyman, 1989), 3. 2. David Allan Hubbard, What We Evangelicals Believe (Pasadena, CA: Fuller Seminary Press, 1991). 3. Hubbard, What We Evangelicals Believe, 9. 4. D. H. Williams, Retrieving the Tradition and Renewing Evangelicalism: A Primer for Suspicious Protestants (Grand Rapids: Eerdmans, 1999), 13. 5. Gregory of Nazianzus, Oration 31, On the Holy Spirit 29, in Faith Gives Fullness to Reason: The Five Theological Orations of Gregory Nazianzen, trans. F. W. Norris (Leiden and New York: E.J. Brill, 1991), 296–97. 6. Williams offers a useful analysis of the development and inadequacies of the “fall of the church” paradigm and “Constantinianism” (Retrieving the Tradition, 101–31). 7. George Marsden, Reforming Fundamentalism: Fuller Seminary and the New Evangelicalism (Grand Rapids: Eerdmans, 1987). 8. Hubbard, What We Evangelicals Believe, 5. 9. Christian Smith, American Evangelicalism: Embattled and Thriving (Chicago: University of Chicago Press, 1998), 14. 10. Smith, American Evangelicalism, 19; see also chapter 4, 89–119. 11. For a balanced study introducing the Scopes Trial, see Edward J. Larson, The Summer of the Gods: The Scopes Trial and America’s Continuing Debate over Science and Religion (New York: Basic Books, 1997, 2006). 12. Smith, American Evangelicalism, 10. 13. A detailed description of these events can be found in Marsden’s Reforming Fundamentalism, especially, “The Crisis and the Turning,” 197–219. 14. For a recent account of the rise of global Pentecostalism, see Alan Heaton Anderson, To the Ends of the Earth: Pentecostalism and the Transformation of World Christianity (New York: Oxford University Press, 2013). Fuller faculty Cecil M. Robeck and Amos Yong have edited The Cambridge Companion to Pentecostalism, Cambridge Companions to Religion (New York: Cambridge University Press, 2014). 15. Richard J. Mouw, Uncommon Decency: Christian Civility in an Uncivil World (Downers Grove, IL: InterVarsity Press, 1992; revised and expanded ed. 2010). 16. In 1952 Helen (Holly) Clark MacGregor was Fuller’s first female graduate, but women were not allowed to receive the BD (now MDiv) degree at that time. 17. 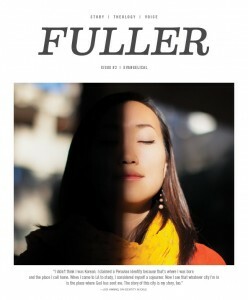 In 2013 Fuller reported 985 international students, according to International Student.com: http://www.internationalstudent.com/school-search/1761/usa/california/fuller-theological-seminary-in-california/ (accessed 11/6/14). 18. According to IPEDS (The Integrated Postsecondary Education Data System), in the Fall of 2013, 47% of Fuller students were of non-white race and ethnicity (including 16% nonresident alien students): http://nces.ed.gov/ipeds/datacenter/institutionprofile.aspx?unitId=acacafb3afab (accessed 11/6/14). 19. William G. McLoughlin Jr., Modern Revivalism: Charles Grandison Finney to Billy Graham (New York: Ronald Press, 1959; repr. Eugene, OR: Wipf & Stock, 2005). 20. Philip Jenkins, The Next Christendom: The Coming of Global Christianity, rev. and expanded ed. (New York: Oxford University Press, 2007). 21. Philip Jenkins, The New Anti-Catholicism: The Last Acceptable Prejudice (New York: Oxford University Press, 2003). 22. For further discussion of the historical and contemporary alliances and activism of North American evangelicalism, see Charles J. Scalise, “Protestant Evangelicalism,” in The Wiley-Blackwell Companion to Practical Theology, ed. Bonnie J. Miller-McLemore (Chichester and Oxford, UK, and Malden, MA: Wiley-Blackwell, 2012), 577–86. 23. For specific historical examples of this early evangelical heritage, see Donald W. Dayton, Discovering an Evangelical Heritage (Peabody, MA: Hendrickson, 1988). 24. Mark Labberton, Called: The Crisis and Promise of Following Jesus Today (Downers Grove, IL: InterVarsity Press, 2014). 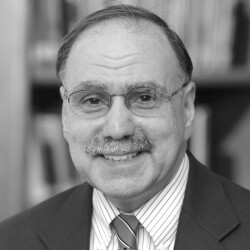 Charles J. Scalise serves as professor of church history for Fuller. An ordained American Baptist minister, Charlie has taught at Fuller for over two decades.